The engine rumbling, hot tyres on the gravel, wind on your face, eyes on the horizon: one with the road. There’s nothing quite like the feeling that your ride could take you anywhere. From a week-end’s motorcycle tour around the Golden Circle in Iceland to a month-long, overland trip in South America, the options are endless and the foray into the possible journeys, frankly fascinating. 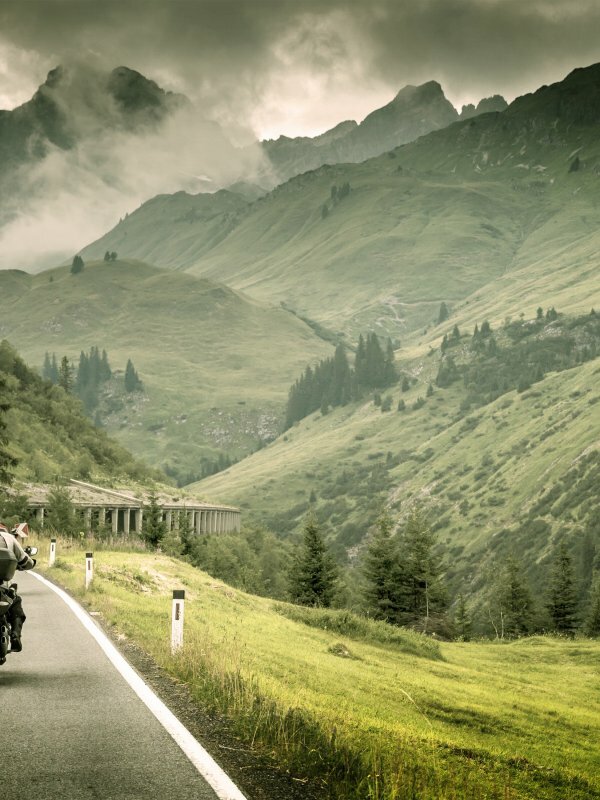 From deserted dirt roads and breath-taking mountain panoramas to hill-top views over the ocean, here are some of the world’s most iconic roads to take your next motorcycle tour on. Big Sur in California is the first destination that springs to riders’ mind when thinking of iconic roads. The legendary Highway One crosses the Golden State from North to South and is by far one of the most scenic rides in the world, offering unforgettable views over the Pacific Ocean at sunset. Probably as impressive as its northern counterpart, South America is worth visiting at least once in a life, and a motorcycle trip might just be the perfect way to discover it. That is where unexpected and special experiences await: the stunning country of Peru is one of the top destinations for a motorcycle tour, and one of the lest known, for now. From contemplating the majestic Machu Picchu emerging from a sea of clouds to pit-stops in charming Peruvian villages and towns like Arequipa, Cuzco, to the llamas and vicunas met along the roads, Peru offers stunning views and enriching encounters. The Inca trail, brimming with the history of pre-Columbian civilisation immerses visitors in the human adventure of a lifetime. Cradled between wind-swept coastline and mountain, Chapman’s Peak takes the best landscapes South Africa has concentrates them in this astonishingly varied motorcycle tour. Lakes and lagoons, deserted planes and forests, the road from Cape Town to the Cape of Good Hope is a stunning ride. Don’t forget to stop by Simon’s Town for a road-side snack while watching the largest Boulders Penguin colony in the world. Morocco is the perfect destination for riders in wintertime. Varied landscapes and a pleasing road surface with adventurous options for riders who feel like tackling sand dunes or mud tracks, Morocco offers fantastic rides for beginners as well as much more experienced riders. The Tizi n’Tichka and the Tizi n’Test link the city of Marrakesh to the deserts of the Sahara: rollercoasters of sharp bends and far-reaching panoramas stretching south towards Sub-Saharan Africa on the horizon. Starting in small, colourful Reykjavik, a tour of the Golden Circle in Iceland is ideal for adventurous riders. Spectacular waterfalls and charming Icelandic horses give life to a surreal moonscape. The roads are surprisingly well looked-after and the ice is kept off the road surface very regularly too. On the road, don’t miss the impressive Strokkur Geyser and the famous Eyjafjallajökull, whose eruption created travel havoc in 2010. With over sixty hairpin bends down the peaks of the Eastern Alps for almost fifteen miles, Stelvio Pass, on the Italo-Austrian border, is no mean feat and well-suited to thrill-seekers. Zigzagging bend after bend, the reward is the dramatic views over the Italian Tyrol from the Stelvio National Park. Perfect for an adrenaline-fuelled ride!